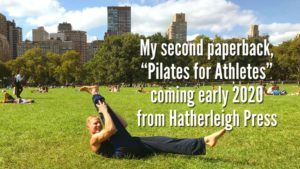 As I begin writing and researching my next paperback, Pilates for Athletes, I have been putting myself through the paces with the original 34 exercise program from the legendary book, Return to Life through Contrology. This workout is not for the faint of heart and it has really humbled and inspired me each time I plop my mat down, take a deep breath and sail through these all bodyweight exercises. It truly is a mind/body workout like no other and puts all of my preconceived notions of training and fitness to the test. 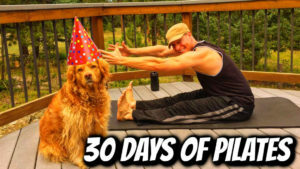 Once you finish this challenge SMASH my 30 Day Pilates Program! 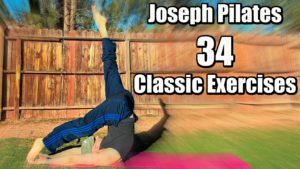 Below are my seven attempts (7 days) at the 34 (sometimes with added exercises from yours truly) and applying the 6 principles (Centering, Concentration, Control, Precision, Breath, and Flow) of Joseph Pilates which carry us not only through the physical and mental exertion of the intense conditioning but also with every step and breath we take off the mat during our days. Every session is unique. Every session is challenging. Every session is a joy and pleasure to participate in. What a gift he gave to the world. Will you share it with me? Athletes can pick up my other unique and powerful training book. Thanks for training with me and sharing it on!